Separate Video, more commonly known as S-Video, Super-video and Y/C, is an analog video transmission that carries standard definition video typically at 480i or 576i resolution. Video information is encoded on two channels. This separation is in contrast with lower quality composite video (1 channel) and higher quality component video (3 channels). 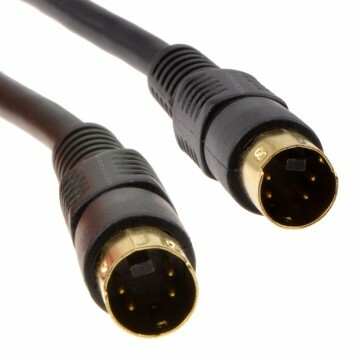 It's often referred to by JVC (who introduced the DIN-connector pictured) as both an S-VHS connector and as Super Video.